Teach-Okay Variety! As in your Class-Yes, increase student engagement by adding variety to Intermediate Collaborative Learning. Clap one to five times, vary your rhythm, pace, tone of voice. For example, clap slowly three times, say "Teach!" quickly with a merry voice. Or, clap rapidly five times, say "Teach!" slowly in a squeaky voice. Or, clap twice quickly, then twice slowly, say "Teach!" as if your frightened the principal approaches. Your students will delightedly mirror your transitions. Why? Kids love to have fun. You love them to have on-task fun. In Teaching Heaven, it's all Love. Switch! There are several ways to ensure that students have equal opportunities to teach each other during Collaborative Learning. First, simply tell your students to take turns. Every time you clap twice and say "Teach!" the kid who was formerly the teacher, becomes the student; the former student becomes the teacher. A second technique is for you to call "Switch" as described in the notes above. The more fun your call out, and students' response pulling down a giant, imaginary switch, the livelier their engagement. A third technique is for students' to exchange a high five after one is finished explaining your point, signaling a change in roles from teacher to student and student to teacher. A side note: if you have an odd number of kids, you pair with the extra student. Or, if you have a child who doesn't like teaching a neighbor, ask them to teach their shoe. Boys, especially, love being shoe teachers. Be sure to check occasionally that the shoe is waggling up and down when it understands a lesson and shaking back and forth when it's lost. Brainies: You won't fully understand the power of Legendary Collaborative Learning without exploring our Brainies, a critical thinking sign language. You'll find gestures for compare, contrast, for example, metaphor/simile, complex sentence, detail adder and many other building blocks of higher order thinking. In addition, gestures for writing fundamentals are also included, capital letter, period, comma, paragraph indenting, topic sentences, adjectives, active verbs and so forth. To launch your kids into this critical thinking wonderland, clap, stomp, head pat as you wish, but instead of saying "Teach!," exclaim "Brainies!" Kids respond, "Okay!" and use Brainy gestures to teach their neighbors. In addition to Brainies you can use deep critical thinking words, such as solve, predict, compare, contrast, connect, infer, cause/effect, analyze, synthesize. Read two different versions of a fairy tale? Clap twice and say, "Compare!" Golden Quad: You'll find examples of Golden Quad, one of our most powerfully instructive games, here. The teacher poses a question, students are given time to prepare, and then the teacher randomly selects kids to answer, one sentence at a time. A four sentence answer must be completed in 90 seconds (or longer, if the teacher wishes). Kids race against the clock, eager to earn the Golden Quad Victory Dance. Bonus: As a bonus addition to Semi-Divine Collaborative Learning, explore the follow options to "Teach" or "Brainies." You could say, "Predict," "Summarize," "Compare," "Contrast," "Analyze," "Prove," "Solve" or any other term that introduces critical thinking. Kids, as always, respond "Okay!" and then venture into new worlds of critical exploration. When you begin Semi-Divine level of any WBT strategy, bring large hankies to school. As your kids explore higher realms of cognition, you'll be earthbound, weeping tears of joy. Teach-Okay is WBT’s answer to traditional education’s weary think-pair- share. You may be concerned that we don’t give students time to contemplate the teacher’s point. We believe that when we ask kids to “think,” we have no way to tell what they’re thinking about. Is it what we just said or how to get to the front of the lunch line? Talking through a response is a good way to think through a response. Call it “ideational fluency.” Students hear a teacher’s point and improve their understanding by paraphrasing it to a neighbor. Teacher: (Holding one fist above the other) A fraction has two numbers. Students: (Mirroring the teacher’s gestures) A fraction has two numbers. Teacher: (waggling the top fist) The top number is the numerator. Students: (Mirroring the teacher’s gesture) The top number is the numerator. Teacher: (waggling the bottom fist) The bottom number is the denominator. Students: (Mirroring the teacher’s gestures) The bottom number is the denominator. Teacher: Now, make a full turn to your neighbors, use giant gestures and explain which number is the numerator and which is the denominator. (claps twice) Teach! Teacher: (Holding one fist above the other) In the fraction 3/5, 5 is the denominator.  The denominator shows how many parts in the whole. Students: (Mirroring the teacher’s gestures) In the fraction 3/5, 5 is the denominator. The denominator shows how many parts in the whole. Teacher: Now, make a full turn to your neighbors, use giant gestures and finish this sentence with your partner. "The 5 in 3/5 is the denominator. The denominator shows _______." (claps twice) Teach!